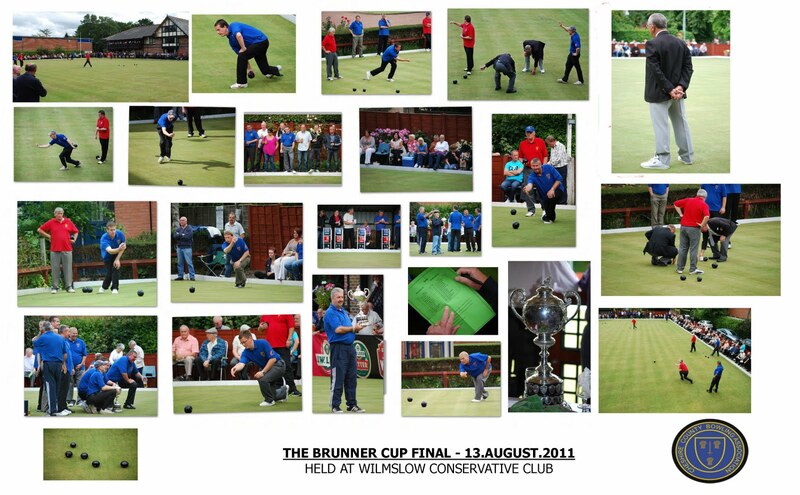 On Saturday 13th August the Wilmslow Conservative Club was honoured to host the final of crown green bowling's Brunner Cup. This prestigious team knockout competition has taken place annually since 1910. Organised by the Cheshire County Bowling Association the final always takes place on a neutral green. This year the final was between Houldsworth WMC and Sale Excelsior WMC, with Houldsworth WMC coming out on top by 229 to 185. Brian Smith, a Wilmslow Conservative Club Committee member said, "Over 150 people of all ages attended the keenly contested event held on a warm and dry afternoon." "Enthusiastic vocal support from both team's followers, some of whom had travelled by coach to the Wilmslow venue, ensured an exciting and entertaining afternoon for all who attended." Brian also took numerous pictures during the afternoon, some of which are displayed in the montage below. 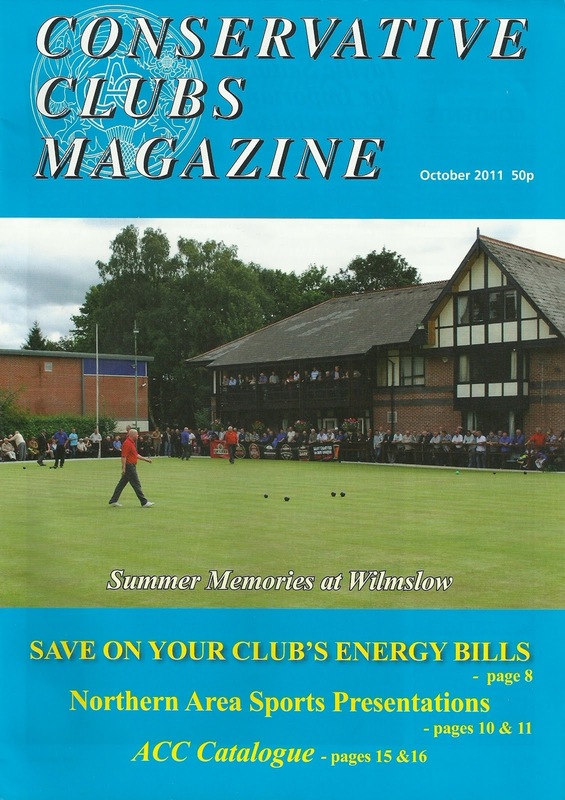 Thanks to Brian's efforts this article also appeared on the local Wilmslow News website, in the local Wilmslow Express newspaper and now also as a front page item in the October issue of the Conservative Clubs Magazine (as shown below).